Note: The second volume (The Red Crystal) appears planned to have been released in 2009, but was cancelled. Synopsis: Welcome to the Eurastia, a legendary pirate ship whose captain holds a dark secret. Her name is Yuri, and once, she lived in the future. Unable to return until she rights a terrible wrong, she must redeem herself and fulfill her destiny. Ten year old Princess Noelle is not from another time, but another place — a land invaded by evil conquerors who killed her parents and kidnapped her younger brother. The Princess herself is taken hostage until Yuri saves her. It is then that they both learn that Noelle holds the key to Captain Yuri’s destiny. Both Yuri and Noelle want nothing more than to return home. But neither can, until Noelle finds her brother, and Yuri vanquishes the sinister forces that she herself accidentally set in motion. I feel so stupid. I read this in middle school and had no idea this was a light novel…. I always wondered what happened to this series since I could never find the sequel. A shame it was discontinued. Do you happen to know why it was? I wish I could’ve continued it. This might not be technically a light novel — it’s probably more accurate to just call it a children’s novel from Japan. Many of these books have a look extremely similar to light novels. I imagine it just didn’t sell well enough. 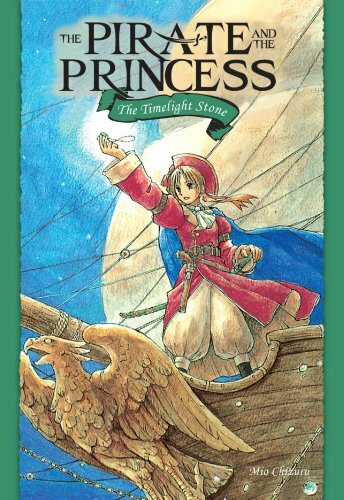 Seven Seas discontinued all of their LNs around that time.